Probate Law in East Peoria, IL | Contact Brave Law Center, P.C. When you pass away without a will or trust, your estate may go through the probate process. The probate court decides how assets will be distributed to beneficiaries. The court will also make sure valid debts and taxes are paid. 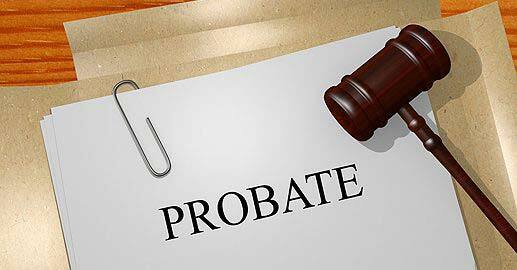 A probate isn’t always necessary, and probate laws vary by state. In Illinois, a formal probate proceeding is necessary if the deceased person owned some of their assets solely, rather than jointly, and if all the assets are appraised for more than $100,000 total. If you own a house, you can easily have assets valued at $100,000 or more. That’s why, when you need assistance navigating through probate law in East Peoria, IL, we are here to help you. Where Is a Probate Proceeding Filed? When a loved one passes away, the probate proceedings need to be filed in the county of residence that the individual lived in. If there is no will or document naming an executor in charge, someone must request to become the administrator from the probate court. The roles of executors and administrators are the same, and they are both often referred to as personal representatives. A personal representative will be able to hire an attorney to assist with the probate process and complete the necessary paperwork for the court. How Can a Probate Lawyer Assist You? At Brave Law Center, P.C., we are here to help guide administrators and executors through the probate process. We can also help you avoid probate court. There are several ways to avoid probate court, including using revocable living trusts. If you hold your property in a trust, that property will not go through the probate process. Instead, a trustee you name will own that property. Then, the trustee can easily transfer the trust property to whomever you wish to leave it with. If you need assistance with probate law in East Peoria, IL or have any questions, contact Brave Law Center, P.C. Call (309) 685-7900 to schedule your consultation with us today.